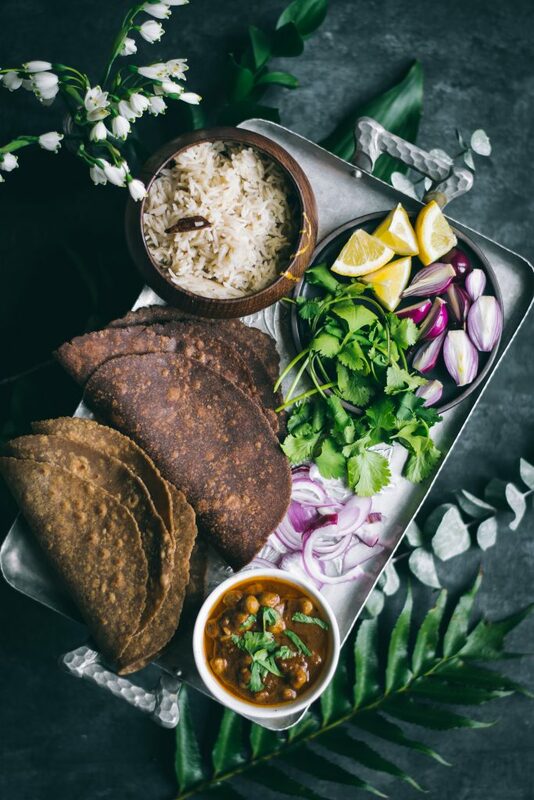 No Indian meal is complete without flatbreads or Rotis and these Teff Rotis are extra special, fortified with nutrition, flavor and texture. 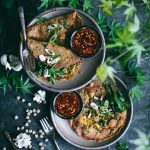 The first time I had Ethiopian food in a restaurant here in Atlanta, I was fascinated by how the Injera platter resembled the traditional South Indian dosa and chutney spread that I grew up eating in India. 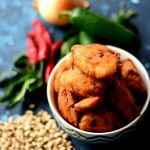 It made me feel a strange kinship with African food, the same way I felt when I learnt that the Nigerian Akara (Akaraje) is oddly similar to the South Indian Vada – a bean/lentil fritter by another name. Although I’ve never stopped thinking of Injera since, I made no active attempts to re-create it myself, which is rather unusual for me. Flash forward three years and I’m a vegan now, in constant search of new foods to incorporate into my diet that replaces the nutrition I was consuming through meat and dairy. Disclosure: This post was sponsored by The Teff Company. All opinions, as always, are my own. Thank you for supporting brands that support Love is in my tummy. What makes Teff so awesome? 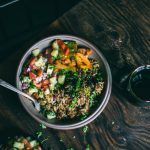 Have you tried Teff grain or flour? No? 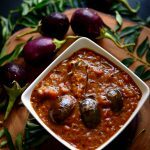 Ok, let me rephrase that – have you had Injera? Yes? Then you’ve tasted Teff, my friend, because Injera is made from fermented Teff batter. 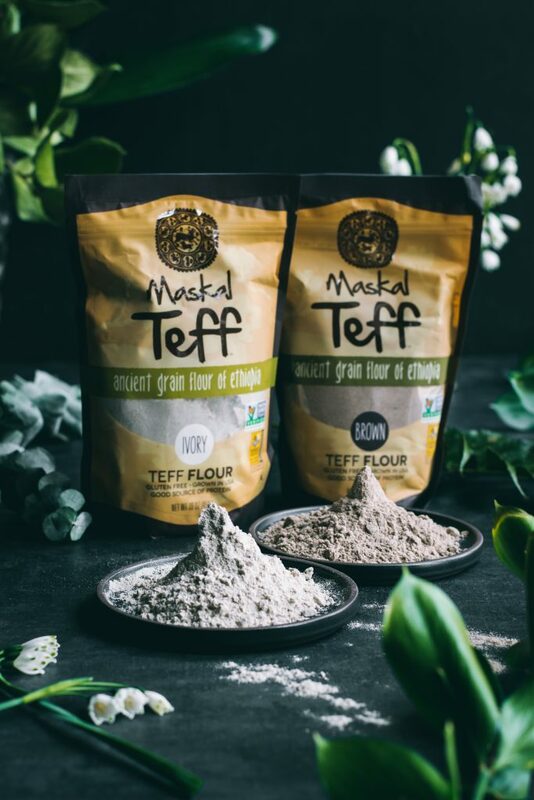 Lately, I’ve been learning a lot about the general awesomeness that is Teff – did you know that 150g of Teff provides 25% of your daily protein needs?! Teff is also chock full of dietary fiber, magnesium (69% of daily value), vitamin B6, calcium (on par with spinach), zinc and vitamin C (not many grains have that!) [source] and just happens to be gluten-free! A fast growing crop, Teff is ready for harvest about 45-55 days after planting, as opposed to about 150+ days for wheat. 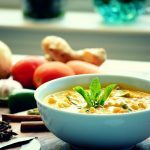 With the environmental impact of meat and dairy, it seems prudent that we all (vegan or otherwise) explore alternatives for our nutritional needs that doesn’t put a strain on the planet. So I set out to begin incorporating this grain into our regular diet, starting with these Rotis, which we have almost twice or even thrice a week for dinner. 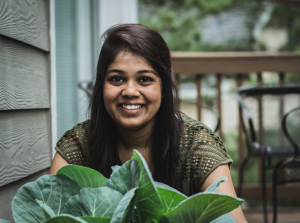 Not in the mood for Indian food? 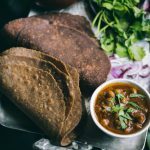 I find that these Teff Roti are quite versatile and can be turned into tacos, burritos, toped with marinara and cheese to make flatbread pizzas, sliced into triangles to be serves with hummus and more! 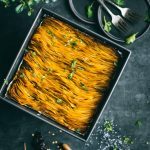 Although no one in my household has celiac disease, I’ve come to learn that it’s good to have a few gluten-free options on hand, especially when hosting guests. 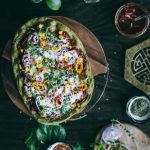 If you’ve never worked with gluten-free dough, you must know that it’s not quite the same as a regular dough. 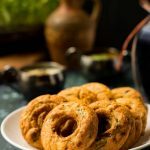 In the absence of gluten strands to stretch and bond, the texture of this Teff Roti dough is different while kneading as well as rolling out. I’m learning as I go here, but I find that a little oat flour mixed in adds stability and reduces tearing while rolling out the dough. If you’re out of oat flour (I make mine by grinding rolled oats in the blender), simply omit and use all Teff, but take a little more care while rolling and you’ll be fine. 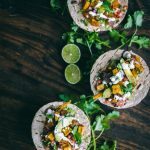 If you’re using a tortilla press, use wax paper on the top and bottom to make removal of pressed dough from the press easier. That’s all the special recipe notes that this gluten-free warrants – everything else is pretty much straight forward. 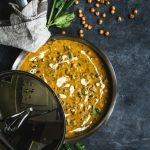 I am particularly in love with the flavor of Brown Teff – as the Roti cooks on the skillet, it imparts a fragrance that I find is very akin to ghee or brown butter. There’s something there to explore, because it’s a flavor that I’ve come to miss a lot since turning vegan. 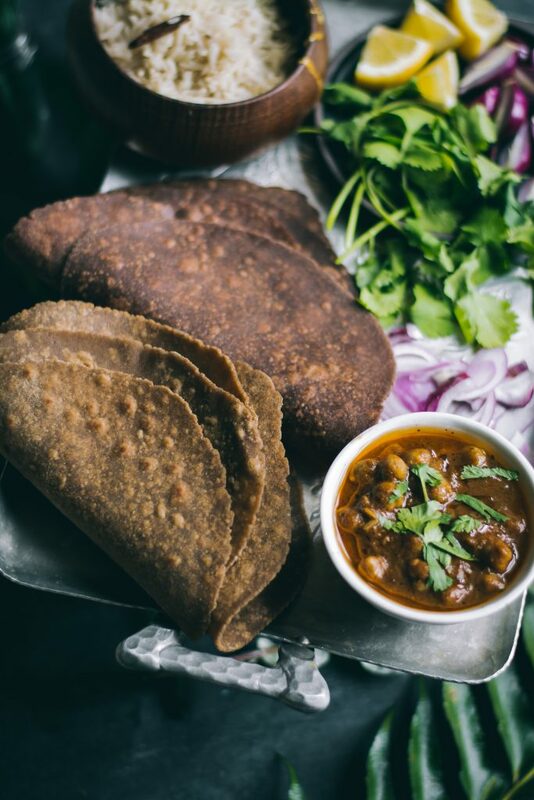 These Teff Roti are best served immediately and warm with your favorite curry, because as it keeps, with each passing hour is hardens to a crisp without any hope of resuscitation. 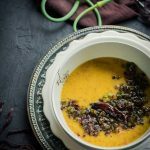 But straight from the stove and dunked, rather generously, into an inviting bowl of curry, it is almost easy to forget that this is healthy food you’re eating. And that, my dear friends, is my favorite kind of healthy. 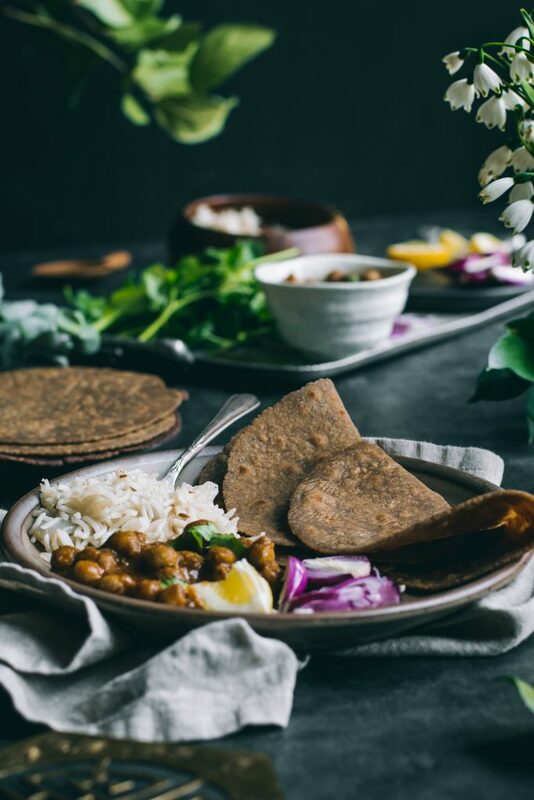 And when you make this delicious Vegan + Gluten-Free Teff Roti (which I really think you SHOULD! ), be sure to SHARE YOUR PHOTOS with me through Facebook, Instagram or Twitter. I’d love to see what you cook from here! In a bowl, combine the flours and salt and make a well in the center. 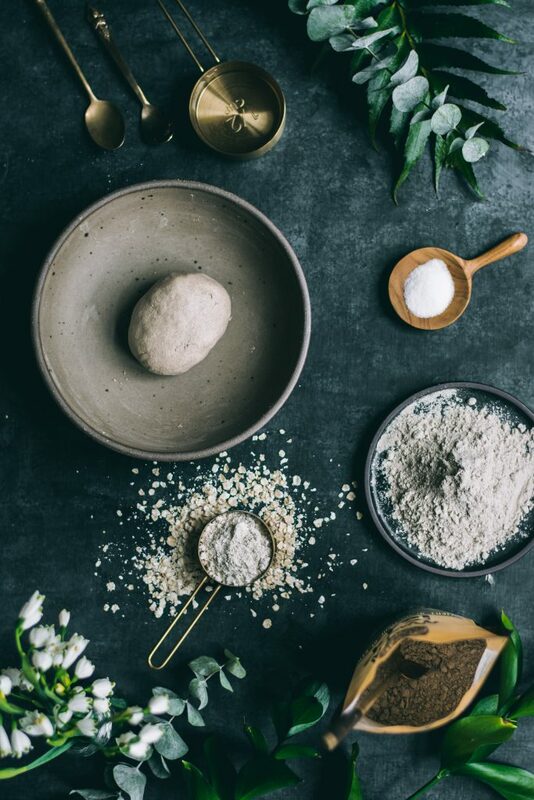 Add the hot water into the flours a little at a time, and using your hands, knead gently until it forms a smooth, glistening ball of dough. 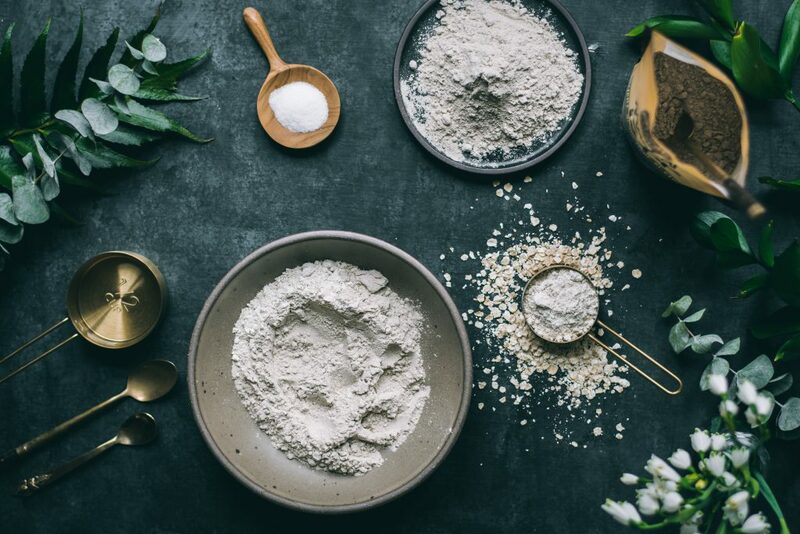 You may need more or less water than listed depending on the freshness of the flours. Transfer to an airtight container, cover and rest at room temperature for 20-30 minutes. Divide the dough into 8 equal pieces. While you work with one, keep the rest covered to prevent drying out. 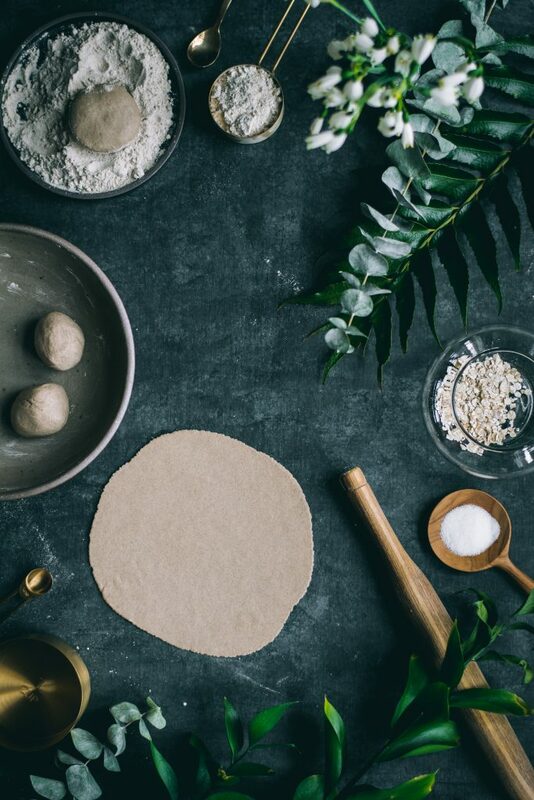 Roll a piece of dough into a ball and dip it into some Teff® flour. Dust excess and roll out on a clean, dry surface dusted with Teff® flour. Turn the dough a quarter degree as you roll and dust as needed with flour to prevent sticking, but do not flip. Heat a cast iron/non-stick skillet over medium heat. Ready a small bowl of water and another bowl of vegetable oil for brushing on the side, with a pastry brush. Transfer the rolled dough to the hot skillet and brush the top side with a little water. Flip. Now brush the other side with a little oil. Flip. Cook and flip in 20 second intervals 2-3 more times until you start to see brown spots and the roti smells fragrant. On the Brown Teff® Rotis, you’ll see light yellow spots and on the Ivory Teff® Rotis, the spots will be brown. Place cooked roti on a plate lined with a kitchen towel. Cover with the towel to keep warm and moist as you cook the other rotis. The rotis are best consumed as soon as they’re made. Have you tried freezing these? I’m a household of one. 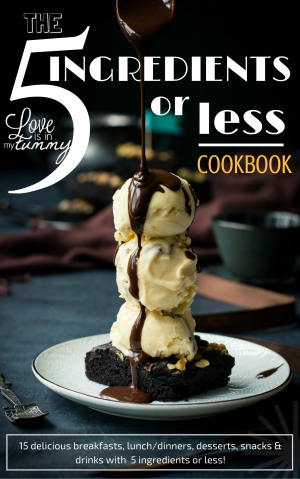 No, haven’t but you can just halve the recipe to make just a few for yourself. Sounds like a great product and the texture of the roti looks really soft! 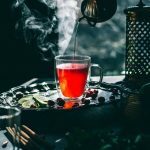 Beautiful styling and photography Tina.